Who first said “You can’t tell the players without a scorecard”? Not even The Google knows the history of this historic baseball-stadium vendor’s shout. But who actually uses a scorecard? Because you love her … Treat Mom to handcrafted wines delivered right to her door with a fun and unique gift from The California Wine Club. 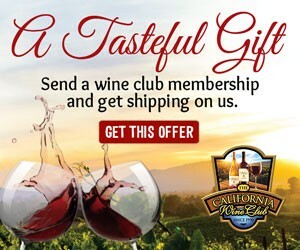 Special offer: Send three delicious months of wine with the Club’s Premier Series and they will pay for the shipping. Just $115. Save $42. Simply use coupon code SHIPFREE. Come to think of it, we could ask the same question about wine. Most wine lovers talk about wine scores, and altogether too many wine buyers worry about the score – the points that the famous wine critics assign a wine. Only 82? Ick! Gimme a 90-plus … if I can afford to pay for it. 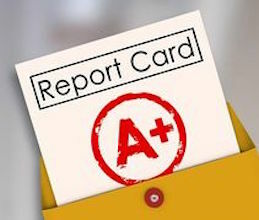 But just as the essayist Charles Dudley Warner said before Mark Twain more famously repeated it, “Everybody talks about the weather, but nobody does anything about it,” so do a lot more people talk about sports scores – and wine scores – than actually write them down. The baseball geek is the lonely guy sitting by himself at the end of a row, score book in his lap, dutifully marking down every move on the field. (Why does “K” stand for “strikeout,” anyway?) How can he watch the game? Sometimes I wonder something similar about the wine geek (yes, including me) who carefully jots down wine notes and assigns a score to each glass: Do we have our minds too far into the data to relax and enjoy the wine? Well, all right, I admit it. I’m stirring the pot here, at least a little. I do take wine notes myself, and only partly because that makes it possible for me to share my tasting experiences with you. Frankly, I often recommend taking notes as a good way to kick up your tasting skills. Pausing to stop and think about how the wine looks, smells, tastes, and to ponder the reflections it leaves behind can help us focus on the wine more clearly and appreciate it more. If you’re interested enough in wine to make this commitment, I think it helps the learning process. Special offer: Send three delicious months of wine with the Club’s Premier Series and they will pay for the shipping. Simply use coupon code SHIPFREE. The cost of shipping for a 3-month gift in most U.S. states is $42. Shipping on us offer cannot be combined with any other promotion or discount nor applied to previously placed orders. Some restrictions and exclusions may apply. Offer expires Dec. 31, 2016. But keeping score? Sometimes I wonder about this. The critics say they do it to help us choose, and the 100-point system has certainly become the industry standard. But does anybody really use 100 points? Parker’s scale actually starts at 50, and he rarely rates a wine under 80, so it is really a 100 point system, or 50, or only 20? The old University of California Davis scale, which I learned back in the day, the similar American Wine Society scale, and most European wine judging systems use only 20 points; but a wine actually gets a handful of points simply for showing up, being wet, and having a color, so even these don’t really use all 20. On the other hand, people who simplify to four or five points (“Poor, fair, good, really good, outstanding”) often expand their scale to 10 by adding half-points for wines that fall in the margins. Sometimes I suspect that all point systems actually boil down to maybe 8 to 15 points at most. Does it make sense to invest in wine based on a critic’s number alone? Does anyone actually buy by the numbers only, without considering what’s in the bottle? How about you? Do you take notes on your own wines? Do any of you – particularly if you don’t post your notes in online forums or at wine clubs – even keep score? I’d love to hear what you think about wine scoring, and in particular, whether you do it yourself (and if so, what scale you use). You’re warmly welcome to join this conversations in our online forums. Click Scoring wines: what’s the ideal method? to get in this conversation in our WineLovers Discussion Group (WLDG); or go to Facebook and click What’s the ideal method of scoring wines? Do you actually use it? on our WineLoversPage Facebook page. We’re talking about Tempranillo in this month’s Wine Focus on our WineLovers Discussion Group (WLDG) and our WineLoversPage Facebook page. You can read the discussion on the forum without registering, but if you’d like to participate in our conversations, you can quickly and easily join the forum via Facebook, using the “Social Login” button at the upper right corner of any forum page to register automatically and log in.